"I've looked through several catalogs and nothing really jumped out at me." "I have a vision for a ring in my mind, but I can’t seem to find what I really want anywhere." "I wish could have more choices for my next piece of jewelry." These are common customer sentiments. 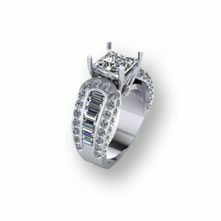 Most customers are tired of being confined to catalog jewelry pieces that don’t reflect their personal taste. Many customers have creative, personalized ideas for jewelry, but are frustrated because they can't find anything on the market that fits their image. 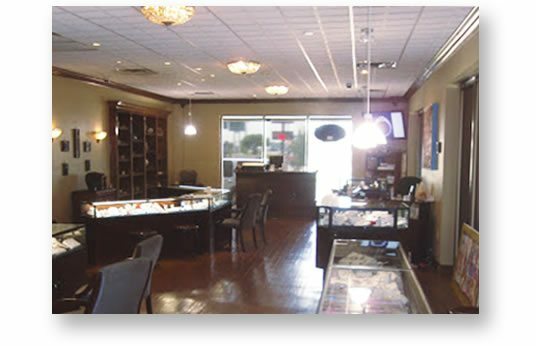 At J. Thomson Custom Jewelers, we take pride in our ability to make the customer's vision a reality. 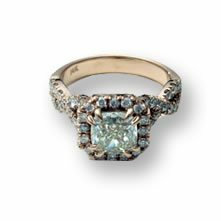 We work closely with each customer to design a unique, one-of-a-kind heirloom piece. 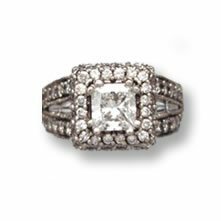 It may be from scratch or it may be a drastic re-styling of an existing piece of jewelry you are tired of wearing. 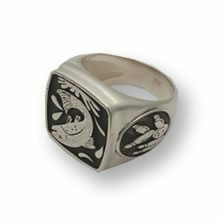 Discover the benefits of custom design jewelry through online communication. Not every customer is able to physically visit our store to tell us their idea or view their piece in progress. Our customers can tell us what they want from the comforts of their own home via email, approve an initial drawing and then review wax models, metal prototypes and the final product. 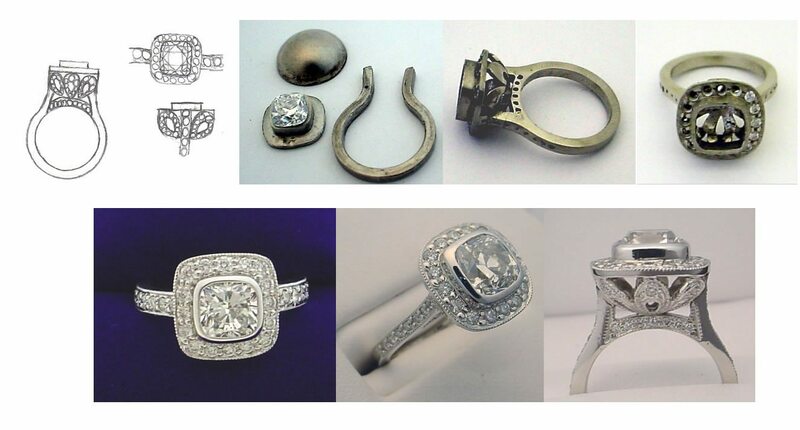 YOU work with us through the entire process until the piece is finished to your exact specifications. After hearing how you would like the design changed or altered, we will design another wax image, or just modify this one to accommodate your changes and send updated digital images via email or in some cases send the wax to you for closer inspection. This process will continue until the design meets your criteria. 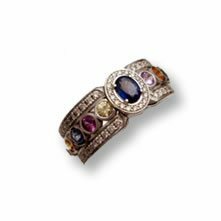 After you authorize the wax mold, our jewelers will create the final product, send more images BEFORE we set the stones in order to get your final approvals or changes. 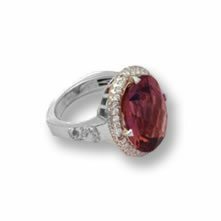 Then if it is all fine we will set the stones, polish and take final pictures of YOUR custom creation. 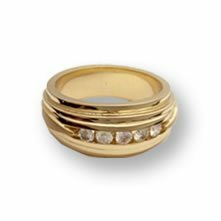 We also prepare an insurance replacement appraisal at NO CHARGE and supply the information that you need to get the piece insured with our insurance company Jewelers Mutual Insurance Company. Then we will ship the piece to you. The following images are the hand fabricated metals from the original design drawing. Then the finished piece with several views. We can also do CAD CAM for more complex rings.